Seventy years later, the Nazis are still messing things up. If you live in Austria or Switzerland and feel like scoring some digital hits on World War II-era Germany, you may be out of luck. Apple pulled Wolfenstein 3D Classic, a port of the original PC shooter for iPhone, iPad, and iPod Touch, out of the App Store earlier today. According to John Carmack, one of the game's original designers, the App Store objected to the "offensive" swastikas in the game. In many European countries, displaying swastikas is a form of illegal hate speech. As a result, games from the German release of the Wolfenstein remake to Freedom Force vs. The Third Reich often use the Iron Cross instead. 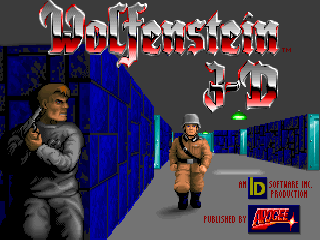 A version of Wolfenstein 3D without swastikas actually graced the Super Nintendo in 1994, so this is not the first time distributors have objected to Nazi imagery in a Wolfenstein game. If id Software removes the swastikas, the game could go back up for sale, but neither Carmack nor Apple has released an official statement about the game's removal. For now, fans in other countries can still download and play the game, but Austrians and Swiss will have to seek out their Wolfenstein fix elsewhere.